Short Business Description: CarePlus Pharmacy is a network of independent pharmacies, joining forces together to provide a superior pharmacy experience in a friendly local environment. Short Business Description: Dr Jim Fehily founded the practice at New Street in 1994. He was joined by Dr Mary Clifford in 2014 and the practice then moved to the exclusive state of the art premises at Ashdown Centre in 2016. Short Business Description: David and his team of highly trained staff are here to provide you and your family with a professional, confidential service that exemplifies healthcare excellence. 'Taking Good Care of You' is their ethos and they take it very seriously. 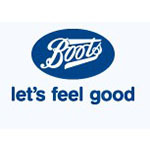 Short Business Description: Established in Ireland since 1996, the Boots brand is at the heart of the communities it serves. Short Business Description: They are a local community business situated in the heart of Caherconlish village. Short Business Description: Cappamore Pharmacy Limited was set up on Wednesday the 16th of June 2004. Their current address is Co Limerick. 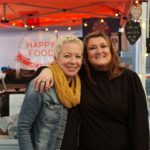 The company's current directors Mary T Ryan and Patrick Keogh have been the director of 4 other Irish companies between them. Cappamore Pharmacy Limited has 1 shareholder. This Irish company shares its Eircode with at least 2 other companies. Short Business Description: Retail Sale of Medical And Orthopaedic Goods. 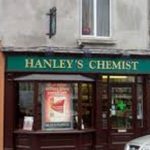 Castletroy Park Pharmacy Retail Limited was set up on Monday the 20th of February 2012. Short Business Description: Cecil Street Pharmacy Limited was set up on Tuesday the 11th of April 1995. Their current address in Limerick. Short Business Description: For the staff of Cappamore and Corbally Pharmacies, the term “professional” means to act loyal, polite and respectful at all times to their customers and above all to offer advice and health solutions to their customers in the best way they can. They believe that professionalism is core to their business as it is a code of conduct which they expect all individuals on their team to respect and carry out. Short Business Description: They consistently look towards new and improved ways of working to differentiate themselves with regards to new product ranges, improved services and efficiencies which allow their Colleagues to spend more time with their Customers. You will encounter a positive and committed attitude form their Colleagues to help you get well and stay well. Short Business Description: Declan Hickey Chemists Limited was set up on Tuesday the 14th of October 1975. Short Business Description: Allcare Pharmacy is a 100% Irish owned network of over 80 community pharmacies located across the country, employing over 500 people. 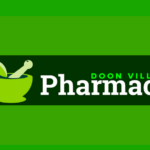 Short Business Description: Doon Pharmacy Designated Activity Company was set up on Tuesday the 4th of April 2017. Short Business Description: Michael Hanley Chemists Limited was set up on Monday the 23rd of May 2011. 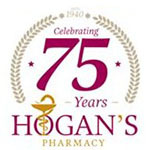 Short Business Description: Hogans Pharmacy Limerick was established in 1940, and is one of Limerick's oldest independent family run pharmacies. 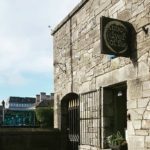 Serving Limerick for over 75 years.